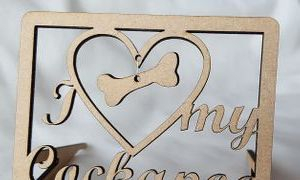 I Love my Cockapoo Plaque. 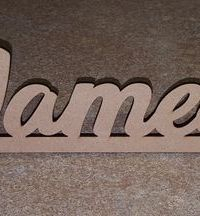 Can be personalised, at additional cost, with a your dogs name engraved on the outer frame. 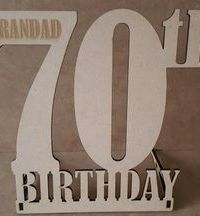 Made from 3mm MDF with plaque support. To purchase, please click the Buy Now button below. 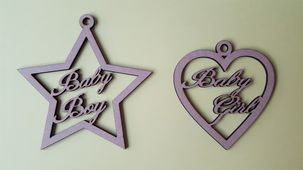 Can be personalised, at additional cost, with baby's name and date of birth engraved on the outer frame. 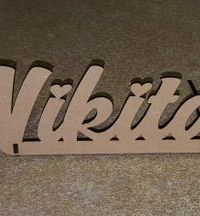 Made from 3mm MDF - Can be painted, varnished.